The wait is over! Beginning April 12 at 9 a.m. 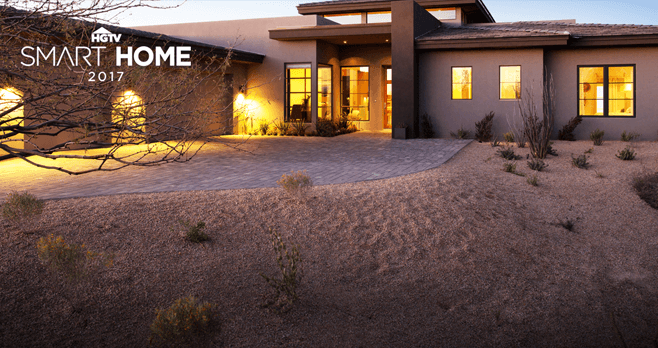 ET, you may enter the HGTV Smart Home 2017 Sweepstakes for a chance to win this year’s grand-prize package worth over $1.5 million. 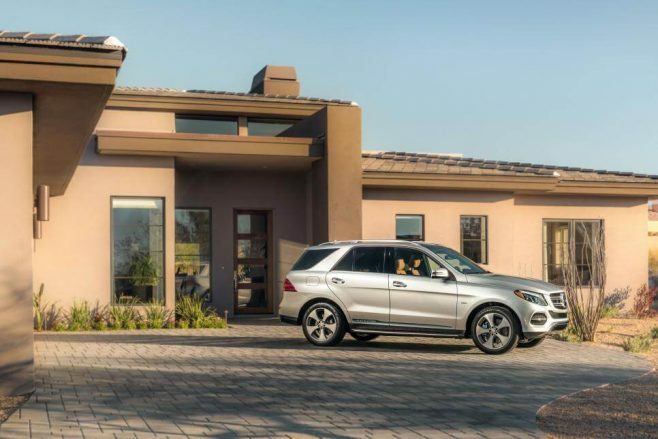 The HGTV Smart Home 2017 Giveaway winner will receive the keys of the Southwestern paradise located in the highly sought-after destination of Scottsdale, Arizona plus a brand new 2017 Mercedes-Benz GLE550e 4MATIC. But wait, there’s more! Winner will also get $100,000 cash from Quicken Loans. Wondering how to enter? If you are new to this amazing Sweepstakes, we will guide you with easy step-by-step instructions. If you are used to participate in HGTV Sweepstakes, we will remind you how to do it easily via HGTV, DIY Network or by mail. Visit the HGTV Website at http://www.hgtv.com/smarthome. Click the “Sweepstakes” tab to access the HGTV Smart Home 2017 entry form. Register by providing the requested information. Click the “Submit” button to receive one entry into the Sweepstakes for that day. Limit one online entry, per valid email address, per eligible person per day. Visit the DIY Network Website at http://www.diynetwork.com/hgtv-smart-home. Complete the HGTV Smart Home 2017 entry form as directed. Hand print your name, complete address, phone number (including area code) and date of birth either on a postcard or on a separate piece of paper no larger than 8½ x 11 inches. Mail the postcard or paper in an envelope with the proper postage affixed to: “HGTV Smart Home Giveaway 2017, PO Box 52226, Knoxville, TN 37950”. Entrants using US mail may enter as often as they wish. Mail-in entries must be postmarked by June 2, 2017 and received by June 9, 2017. Limit one entry per stamped envelope. In lieu of taking title to the HGTV Smart Home 2017, the Grand Prize Winner will have the option of receiving $670,000 in cash. Total ARV of Grand Prize is $1,511,707 if Grand Prize Winner takes title to the HGTV Smart Home 2017 or $849,040 if Grand Prize Winner selects the Cash Option in lieu. HGTV Smart Home 2017 Sweepstakes is open only to legal residents of the U.S. and its territories, possessions and commonwealths who are 21 years of age or older as of April 11, 2017. The Sweepstakes begins on at 9:00 a.m. ET on April 12, 2017 and ends at 5:00 p.m. ET on June 2, 2017. There is a limit of one entry per person, per day on the HGTV Website and one entry per person, per day on the DIY Network Website. One potential grand prize winner will be chosen by Sponsor in a random drawing from among all eligible entries received during the entire Sweepstakes Period on or about June 13, 2017 by Ritway, Inc., an independent judging organization. To know who won the HGTV Smart Home 2017, go to the HGTV Sweepstakes Website or mail a self-addressed stamped envelope to: HGTV Smart Home Giveaway 2017 – Winner’s List, PO Box 53445, Knoxville, TN 37950. Requests received after September 15, 2017 will not be honored. Sponsored by Scripps Networks, LLC d/b/a Home & Garden Television, 9721 Sherrill Boulevard, Knoxville, TN 37932.. Administrated by Ritway, Inc., 1463 E. Weisgarber Road, Knoxville, TN 37909. I have sent several emails but nothing done. I have entered these contests for a few years now, and have never had any problem entering. Now, I enter on HGtV and it goes okay. I click on DIY to enter a second time, and the screen flips, but never shows a place to enter again. This is very aggravating. Every once in a while, it will let me do it. This time around hardly ever. I have missed numerous entries due to the flaw in your website. I can’t seem to enter either. What goes here?